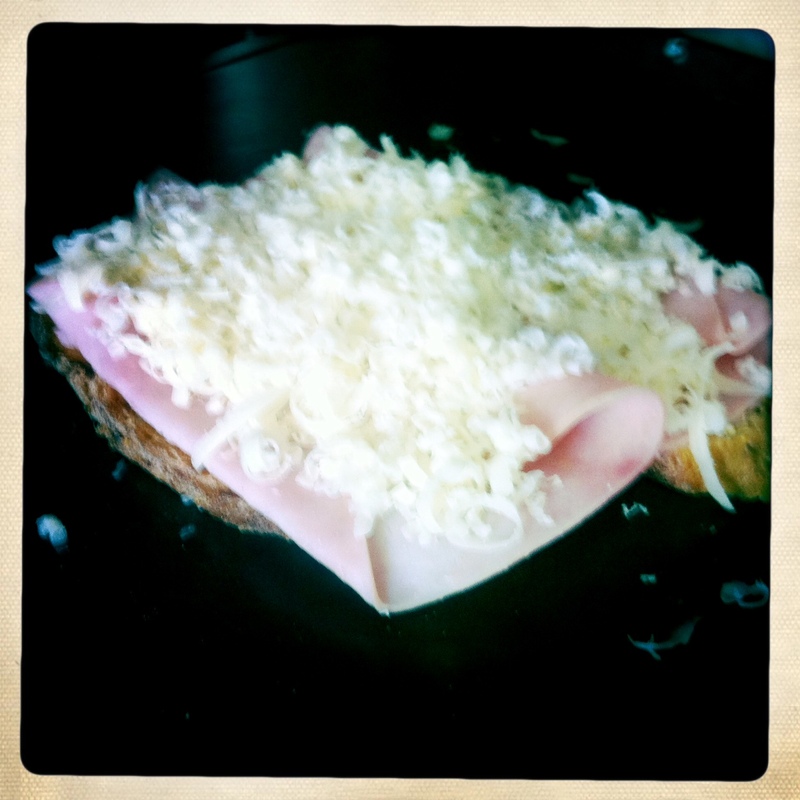 as you may have noticed from my top 5 favorite sandwiches post, i am a big fan of the croque monsieur. they may seem daunting to make just from the name, but actually, they are really quite easy to make. then, layer the ham on the toasted bread, top with the cheese, and put in the oven until the cheese melts and the ham is warmed. about 5 minutes at 350º. in the meantime, make your béchemel. 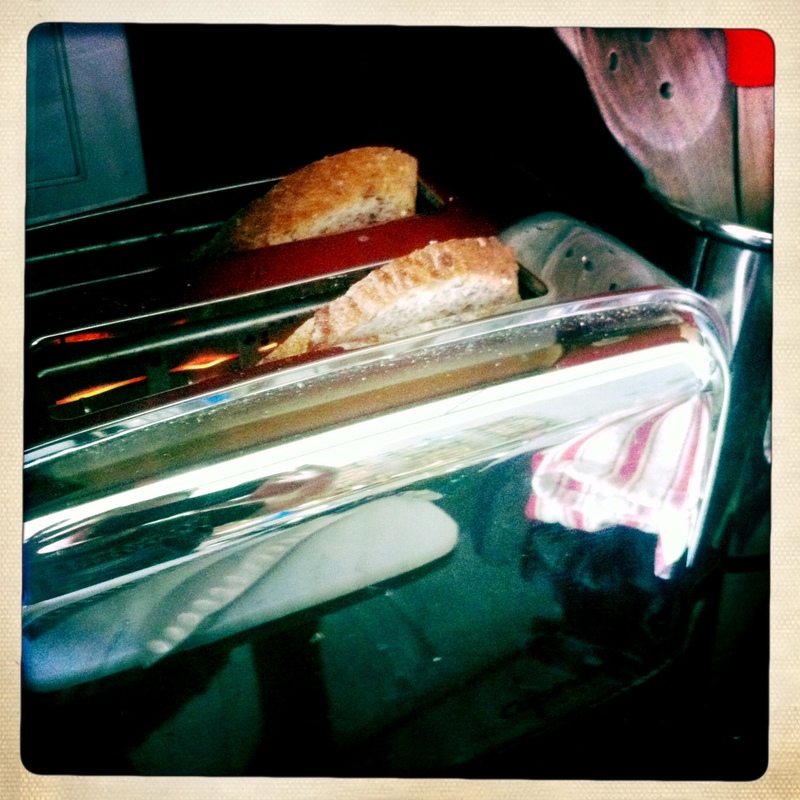 for one sandwich: scald about 1/4 cup milk in a small pan. 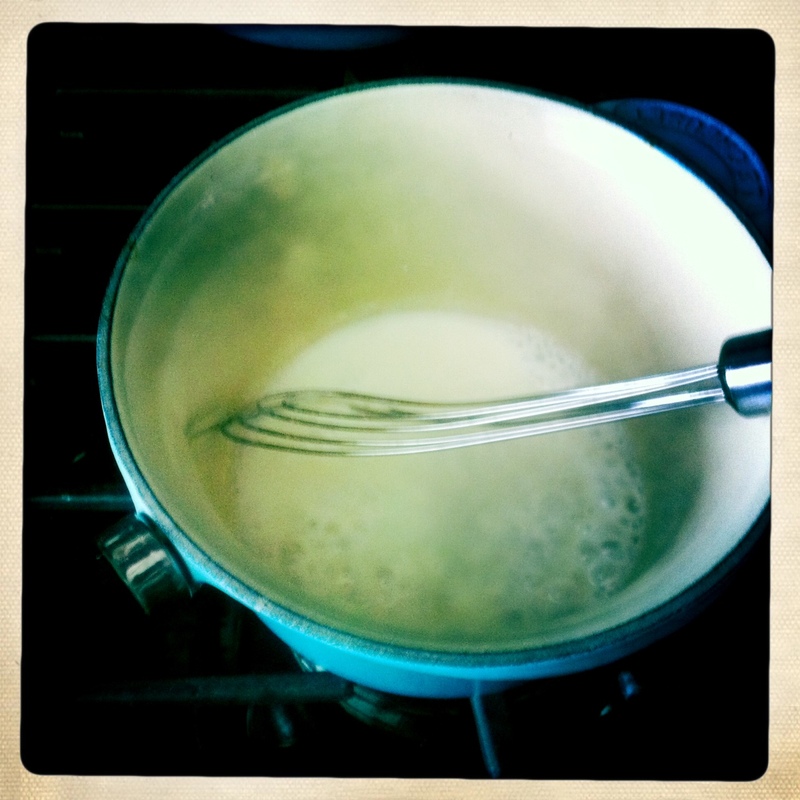 melt 1/2 tbsp butter in another pan, add an equal amount of flour and whisk together to make a roux. then gradually add the milk on medium-low heat while continually whisking until it starts to thicken. if it gets too thick whisk in a little bit more milk. add a pinch of nutmeg, and s+p to taste. 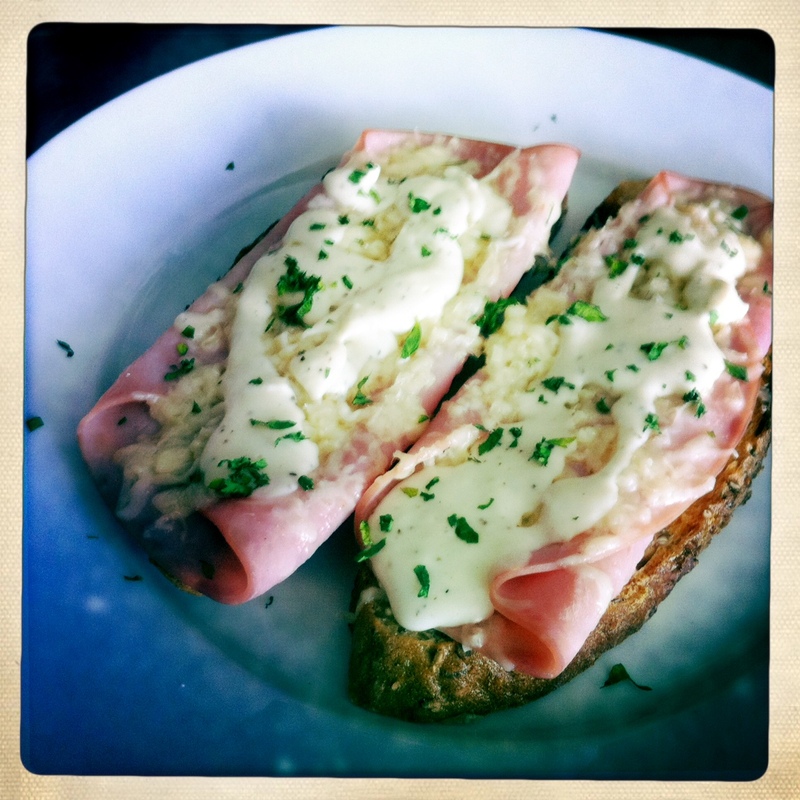 drizzle the sauce over the open-faced sandwich, and sprinkle with parsley. it’s not quite like the one at mignon, but it’s close enough in a pinch. mignon is a wine + cheese bar in downtown los angeles @ 128 east sixth street, la, ca 90014 • phone: 213-489-0131 • open 5p-midnight daily.